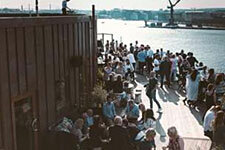 Bars and clubs in Gothenburg, Sweden. 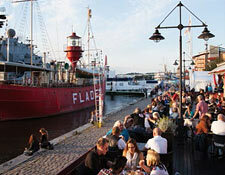 In Gothenburg you have some nice pubs and dance places to choose from. 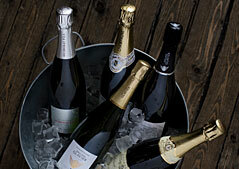 A beer or a glass of wine could be nice after some shopping or why not before a show or theatre. At the summertime you sit outside enjoying the sun and in the wintertime you can huddle inside in the warmth. If you later in the night want to take a dance, then you can choose from some places in town. 7:ans beerplace opened year 1900. At this time at Kungstorget there were 14 beerplaces and 4 snaps places. 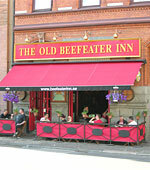 It was the couple August and Alida Andersson who opened the pub. The interior in 7:ans beerplace is nearly intact since it opened. We would like to highlight some other streets in town a bit beyond the Aveny road. Please go to 2: Långgatan. Here you can choose from several different pubs, including The Rover, Holy Moly, Kellys Bar, Queens Head and Rock Stage On Stage. 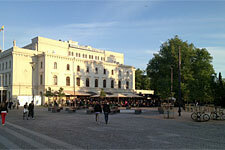 At Magasingatan you will also find many different pubs and also centrally located in Vasastan. 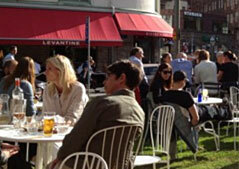 Another street to highlight is 3rd Långgatan, which turns into a cozy summer street every year. 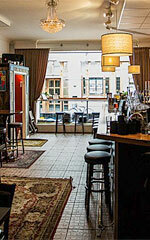 Here you will find Brewers Beer Bar, Olssons Vin, Taverna Averna. 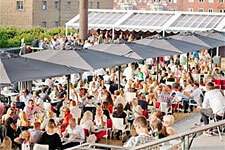 Different bars and clubs in Gothenburg! 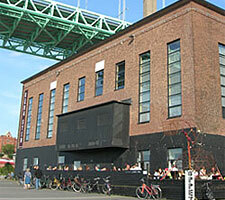 Open since 1990 and today is one of Gothenburg's largest nightclubs. 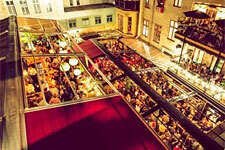 The club has three floors with two dance floors and a large roof terrace. Nice to go here for an afterwork beer on a Friday. Is centrally located, a parallel street to the Avenue. For those of you over 23 years. little cool to sit here and look out over the Avenue on their roof topbar. Here you can also try the drink "Merry Gold" that consists of organic eatable flowers. In the ground floor there is another bar where you can have a drink, eat lunch / dinner or just enjoy a cup of coffee with a snack. Here you can choose to dance in one of their 2 dance floors and party all night long. floors and in the summer they open their Summer Yaki. Food, drinks and do not miss their coffee bar in case you need to be up whole night. Also consider their live performances. If y start to get hungry, visit their restaurant on the 4th floor .. here you can get food after nighttime. 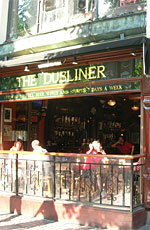 An irish pub in the middle of everything, you can´t miss the Guinness and Kilkenny taps. 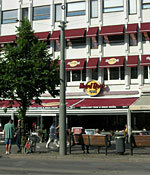 Located in the centre of the town. They also have special music nights when they play music. Classic pub food as chicken wings, hamburgers and baked potatoe. Furnishing: A little bit dark. In the summertime outdoor café. 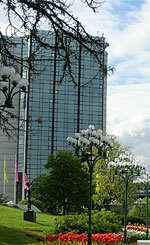 The hotel has existed since 2007 and has become an iconic building in the center. May to September is one of their hallmarks. Please visit their cocktail bar has a wide choice of drinks! Eat a piece of food in their restaurant. In summer, you can sit outside. 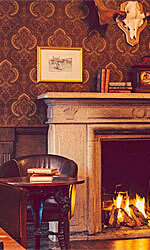 This small cosy brittish pub you will find at Linnestaden. Drink beers like Guinness, Bitter=Fuller och Spittfire, Ale=Kilkenny, Bishops Finger etc. Here is more than beer, you can also take something to eat. Food and dring from Czech Republic. 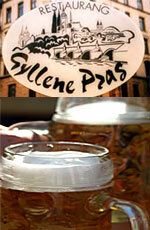 A simple place with very good beer and food. Only a stone's throw from Linnegatan. Here you will find the beer brands Staropramen and Urquell. We can recommend their breaded cheese with their special sauce. 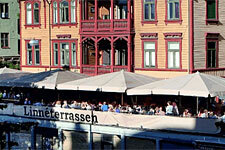 Probably one of Gothenburg´s hottets places. 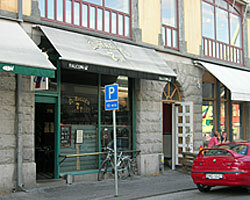 The jazz club Nef in Gothenburg started 1978. 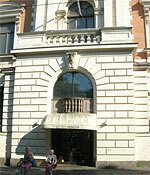 The club is located in the basement in the old closed shool Gamla Latin at Hvitfeldtsplatsen. This is really on of Scandinavias leading stages. Here is more music played than jazz, you can also hear: blues, soul, salsa, hiphop, house or other world music. different days. Sport TV of course. 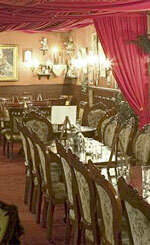 Do you want to take you for a drink at a place that feels a bit homely, visit the "family". why not one of their mojitos. Please visit this restaurant and pub. Here you can choose from various tasty burgers! red pieces of cloth from the ceiling and rustic furniture. The bar at the top! You that are affraid of hights don´t go to close to the windows. 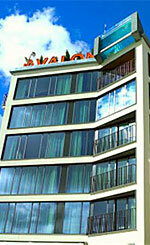 You are at 229 feet when you have taken the elevator ut to the 23 floor at the Hotel Gothia Towers. In the restaurant you can eat their nice fish and their speciality is their King Size - sandwich with a lot of shrimps. A mojito in their bar could also be nice. For you that doesn´t like the evenings, come here an afternoon and take a cup of coffee, and just look at the city from the top. One of Gothenburgs most popular night clubs. Here you will here both new and old music from one of their dance floors. Restaurant & Bar and here you can also play some bowling at the top floor. They also have a night club. 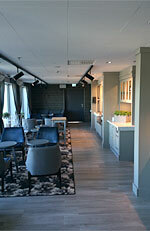 At Trädgår´n you can enjoy the Summer Club Port du Soleil. The club with a Mediterranean flair in true Riviera style. 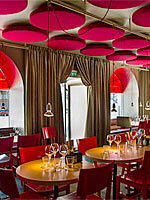 Inspiration in the decoration comes from Miami and Ibiza's clubs. the summer feeling. 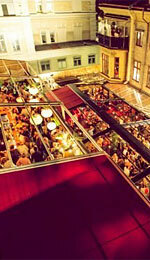 On Fridays and Saturdays there will be dancing under the stars until late at night. 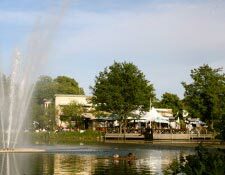 In the daytime, it is a lovely outdoor terrace that faces toward Trädgårdsföreningen and its beautiful greenery and fountains. 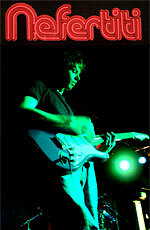 See information about Port Du Soleil above. and you sit right next to the quayside at Maritiman. During the summer, in July-August the summer club opens on the weekends in Villa Belparc. Here you can dance and listen to live performers. food and choose something from the drink list. Also uses music played in the summer. 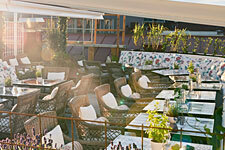 In the summertime Hotel Pigalle opens its outdoor terrace / roof terrace. Come here and enjoy sitting above looking down. How about playing boule outside the restaurant. Make it cosy with some food from the French cuisine and hang in their summer bar. Enjoy their hammocks in the grass. For the Göteborgers, the tourist or anyone else by the way! Do you want to escape the stress, come here! 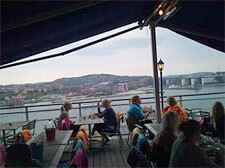 During the summer it is very nice to sit at the Red Sten's outdoor seating and look out over the harbor entrance! Another of the most beautiful places we find. Certainly, it's not as luxurious as some of the town's buildings, but it's still the site that counts, or? Here you nearly sit under the Älvsborgsbron. there were plans! Kings like Oscar II are said to have visited the house diligently when it was "The House of Joy." you can buy a coffee from the cafe at the same place. From the Opera House you will see the beautiful Barken Viking lying in the harbor. In summertime they open the deck and invite you to nice summer evenings with dishes in the bar with good drinks. A lovely place to sit on hot summer evenings. 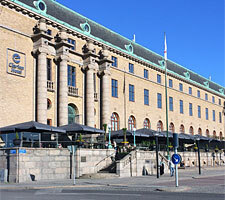 In summertime restaurant and the bar "Large kitchen" opens on the outside at the beautiful Grand Theatre. Here it is cozy to sit and have a drink and eat some food and watch people. This summer is the barbecue in focus. Take a glass of wine or beer or why not a glass of chilled rosé and just take it easy. played at their live stage and you can have a drink in the bar. Large areas on several floors. night ... take a coffee drink in their coffee bar. 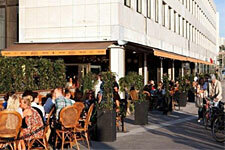 During the summer you can sit and look out over Götaplatsen Poseidon and see the multitude of the Avenue. 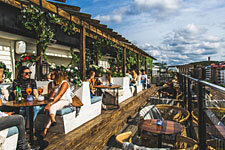 In the summertime Hotel Bellora opens its famous roof bar Cielo. Take the elevator up to floor 7 where you can enjoy the sun and a fantastic view of the town. inner section and wait until the weather gets better. It is open throughout the summer from early afternoon to late evening! See their website for more precise information. For those of you who do not like heights then you can stay in the ground floor where there is also a pub/ restaurant where you can sit outside in the summer. 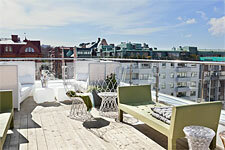 Feel free to visit Hotell Comfort roof terrace throughout the year in beautiful weather. Open Thursdays to Saturdays. Buy some small dishes and cool off with a drink while looking out over the harbor entrance. A large roof rack / roof top bar. A well-known feature of the town's Clarion Post Hotel. Of course you can also visit this place in winter. on their outdoor deck. The outdoor deck are on their fine stairs. It's pretty cool to sit here in the middle of the city center and see all the people who walk around Central Station. 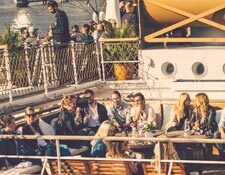 Are you looking for nightclub in Gothenburg?